Quote by Law of Attraction Queen Esther Hicks. A simple quote that also works as a lovely affirmation which I think packs a powerful punch. When dreaming big (here at the Fridge we are alway planning bigger, wishing greatly and hoping huge) the hum drum of life can become soul destroying or make you feel like you are miles away from the destination that you desire. It’s at this point I say this little affirmation and then think of 5 things that make me happy or that I wouldn’t want to change. For example; Thanks you for my health or my gorgeous family, a phone call to a friend or a recent purchase that makes me smile. I’ve no idea why 5? 3 seems not enough and anymore than 5 when I’m feeling sorry for myself can be hard to achieve, and that my friends is the exact opposite of what we are trying to achieve in that blue moment. Generally it seems to be enough to alter my energy vibe and put me back on track – like a sprinkle of glitter or a ribbon on a gift. 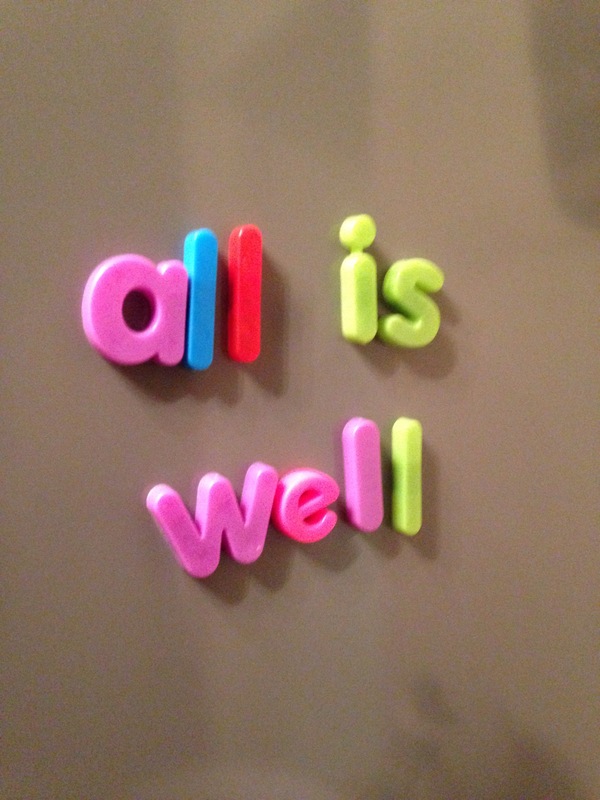 So if you are feeling a little off track – remember ‘all is well’ and believe it in your heart, afteral there is always someone worse off and you may just add that ribbon to your dreams quicker than you thought. Aww I love this idea! I love this, so simple but so powerful. I’ll be using this phrase.